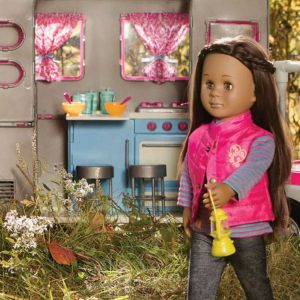 A bundle of beauty products for your 18-inch doll salon! 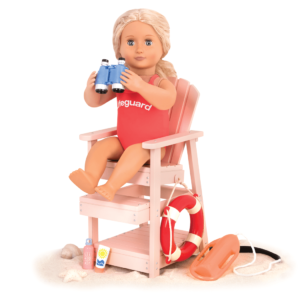 It’s time to let our hair down…or put it up in a nice up-do! 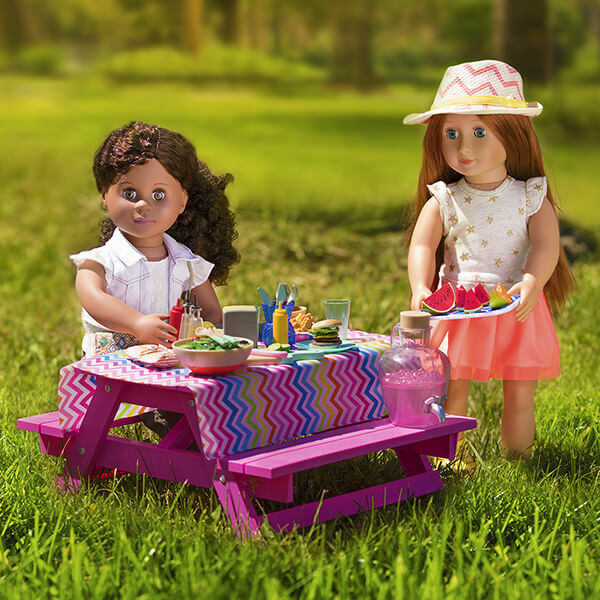 Bring on the curl power! 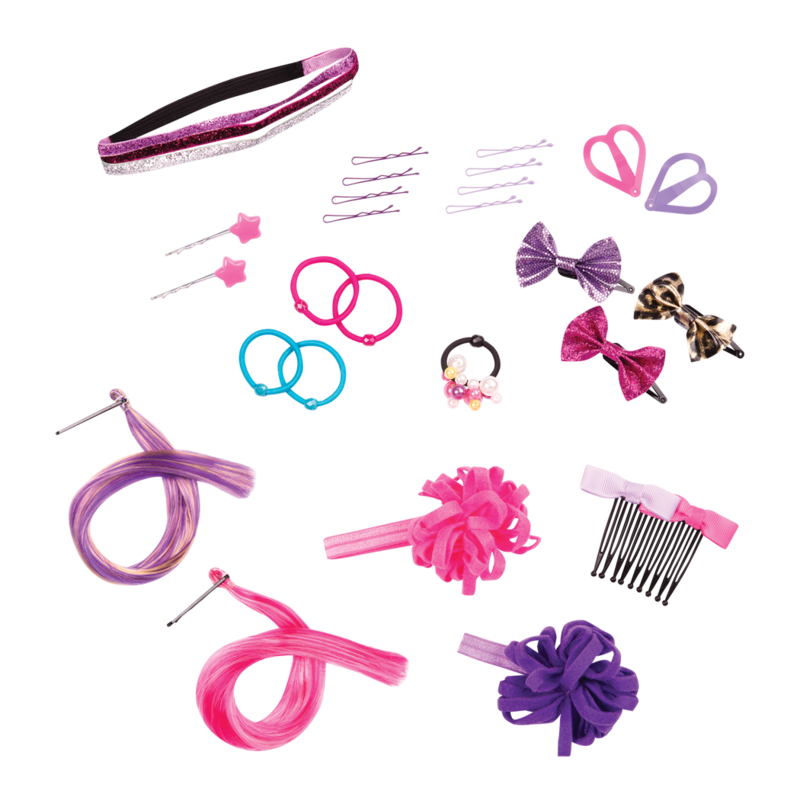 Get “all dolled up” with the Our Generation Deluxe Hairplay Set! 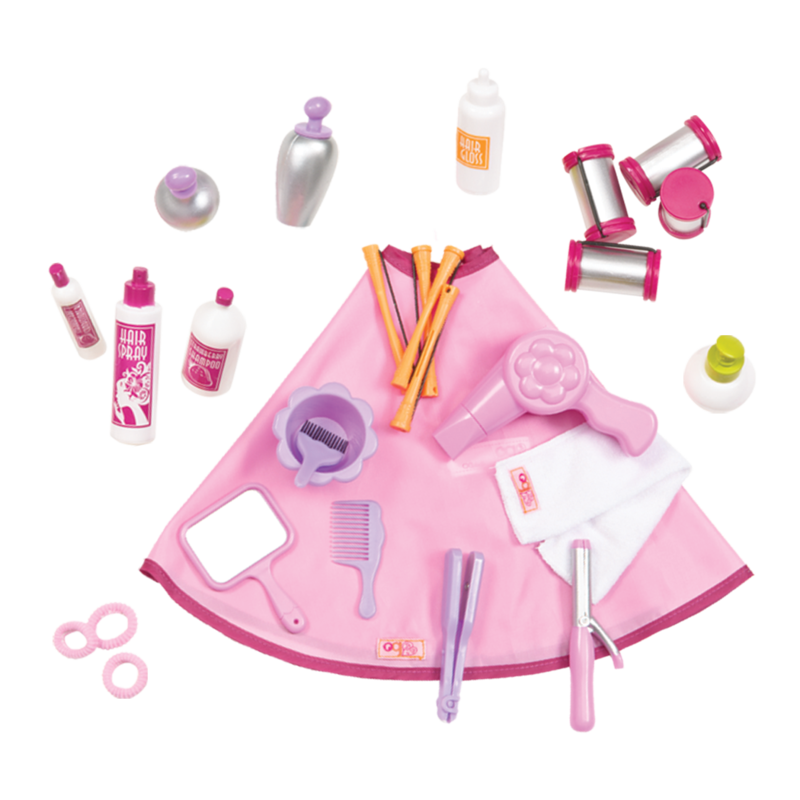 This 109-piece bundle for 18-inch dolls has everything you need for a complete salon day experience. 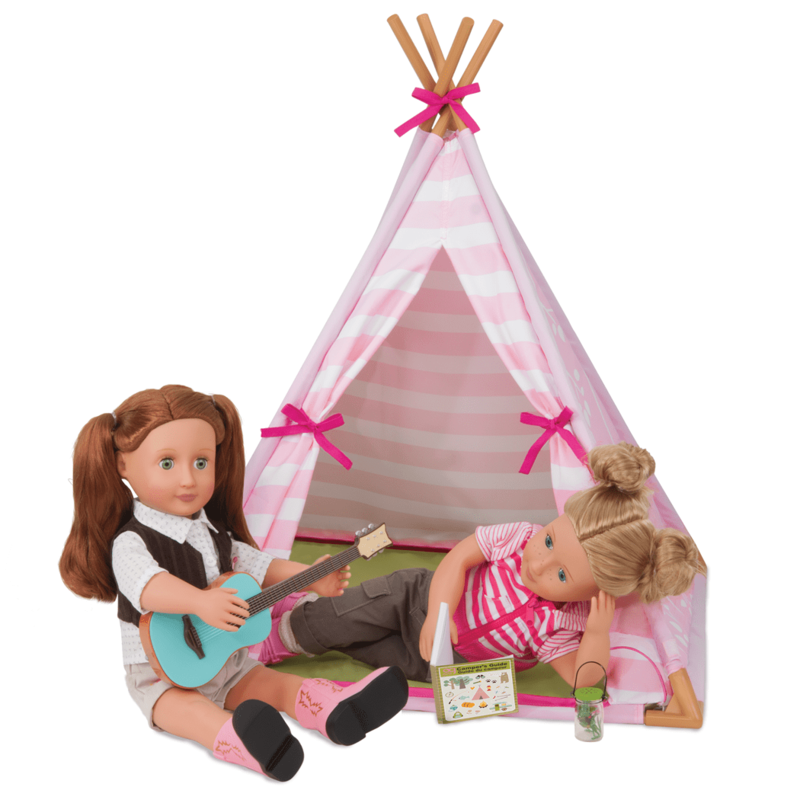 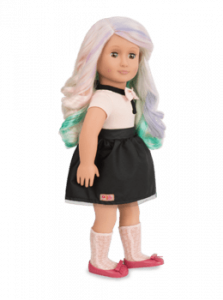 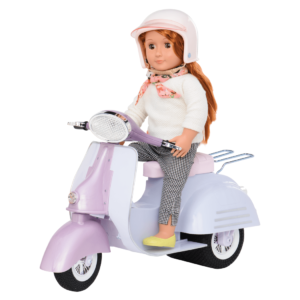 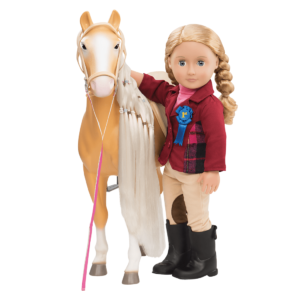 Meet Pia, an 18-inch Hair Play doll with pale green eyes and ultra-long white-blonde hair. 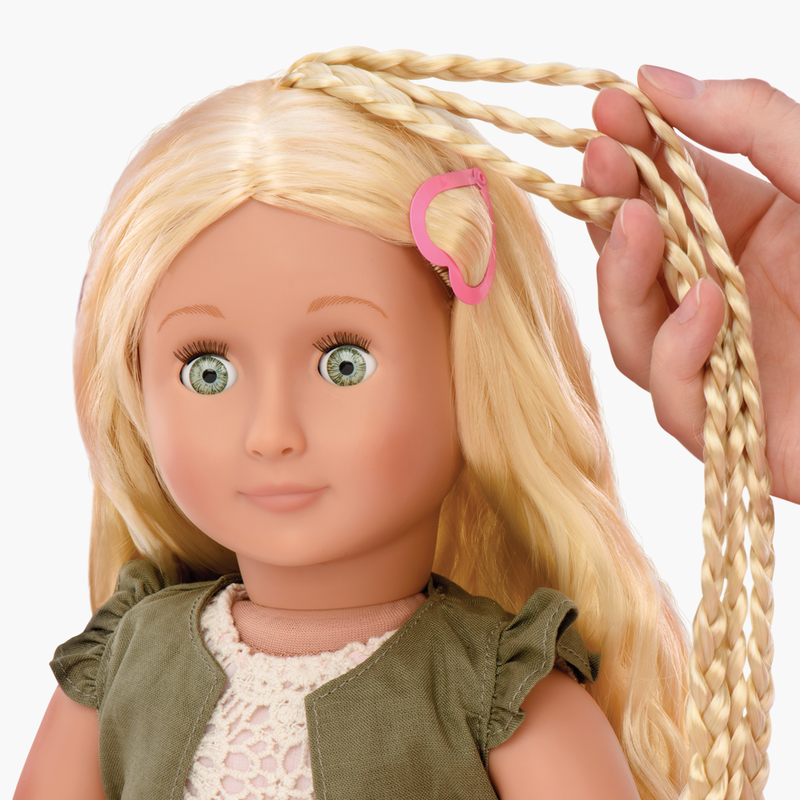 Pia is a “hairgrow” doll with braided hair extensions that can be extended and shortened with the twist of a dial. 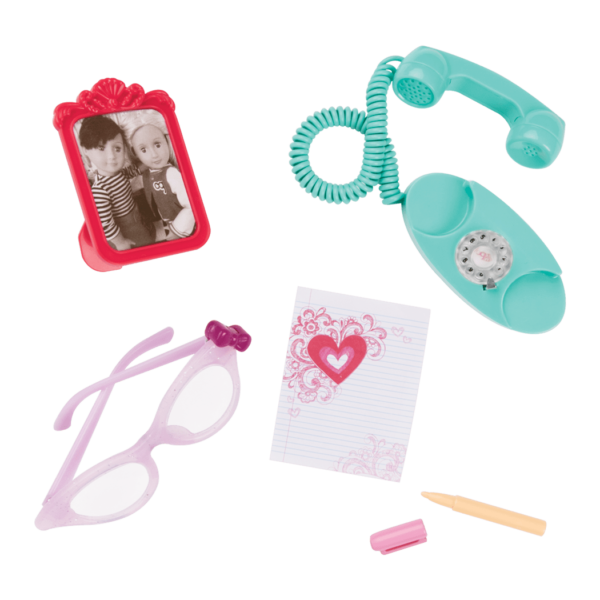 Practice your styling techniques with the Sitting Pretty Salon Chair that can be raised or lowered to the right height, and over 26 pieces of mix-and-match hair accessories like clips, bows, and colorful extensions. 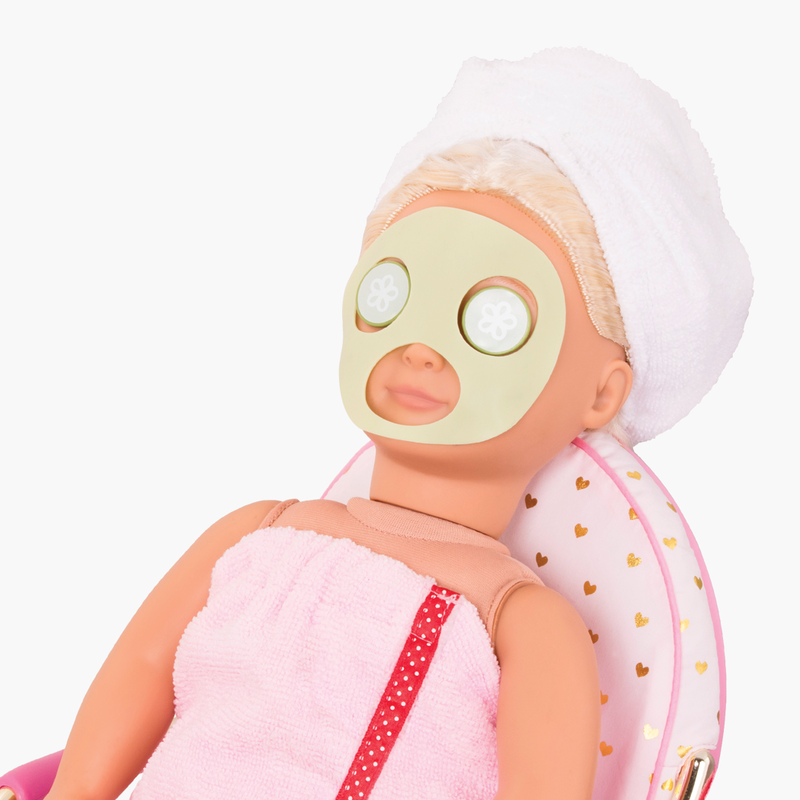 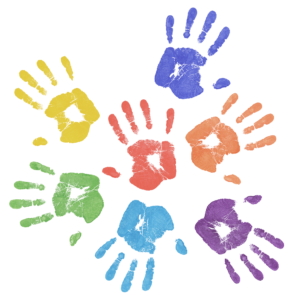 Pamper your dolls with a clay face mask while they tenderize their tootsies in the footbath. 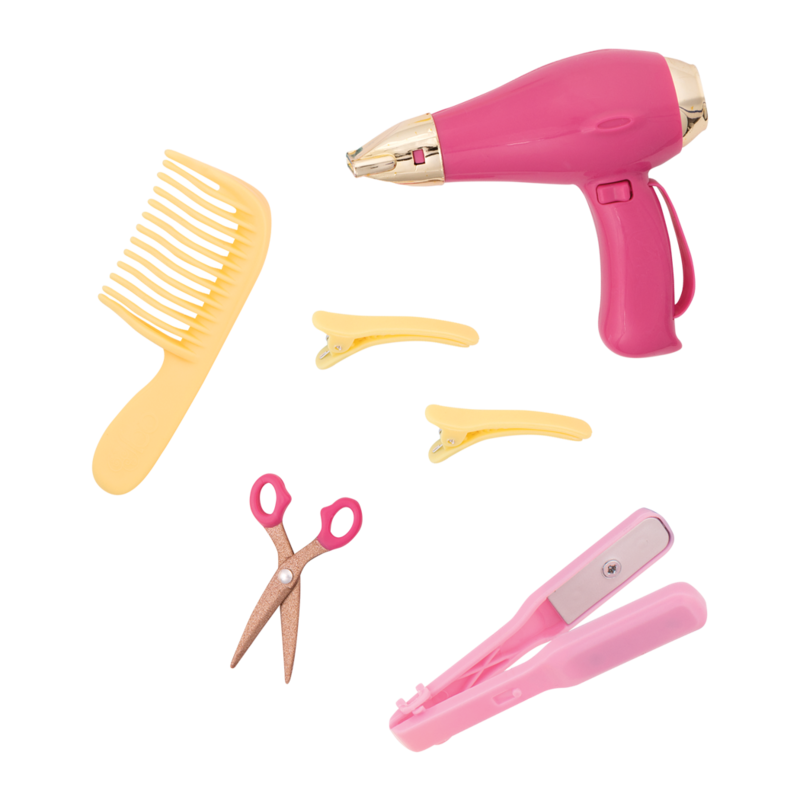 This set is fully stocked with miniature salon accessories, a stylist tray, and even a hair dryer that makes sounds! 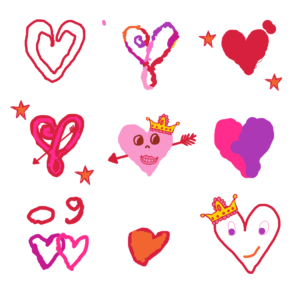 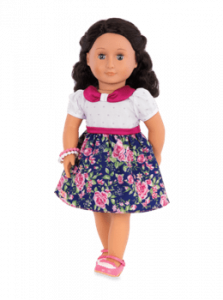 Have you met Flora? 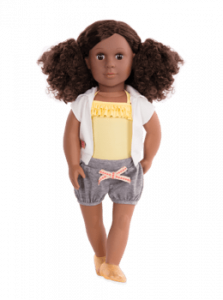 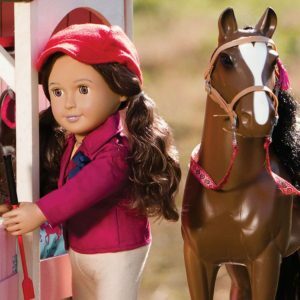 Flora is a beautiful 18-inch hairplay doll who has ultra-long brown hair with extendable braids that are perfect for styling! 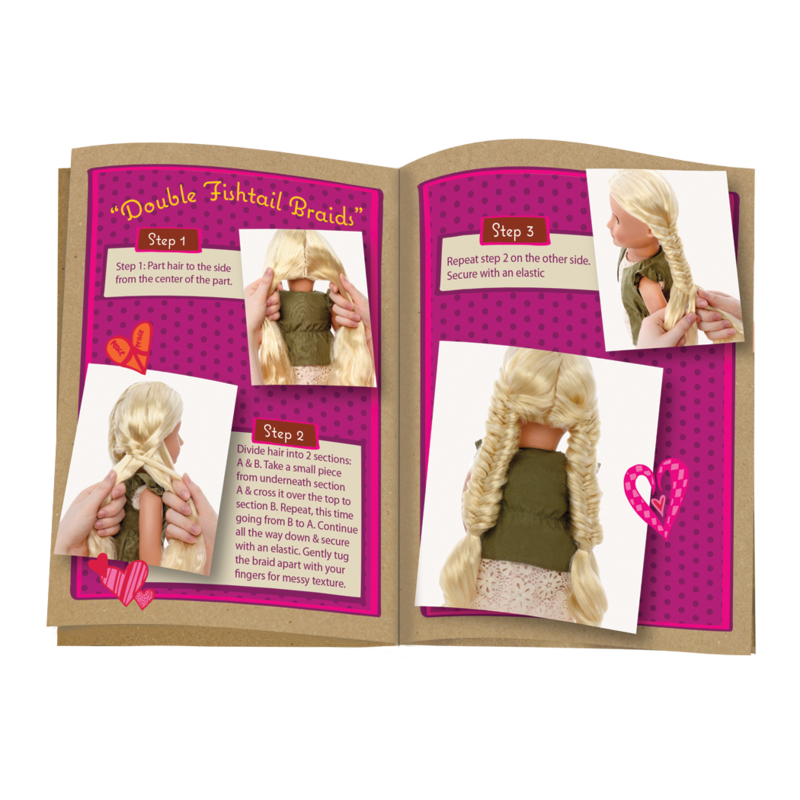 She is just one of the dolls in the Hair Play Collection who are waiting for you to give them a creative new look! 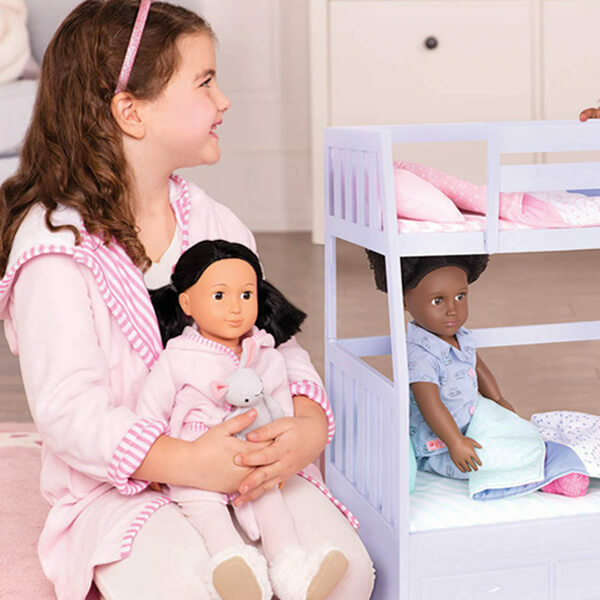 For even more beauty accessories for your 8-inch dolls, check out the Robe-a-Dub-Dub Outfit which includes a cherry-print robe and bathtime accessories for pur dolly comfort! 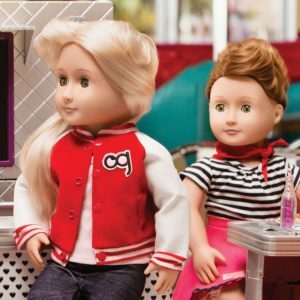 109-piece Complete Salon and Spa Set for 18-inch dolls! 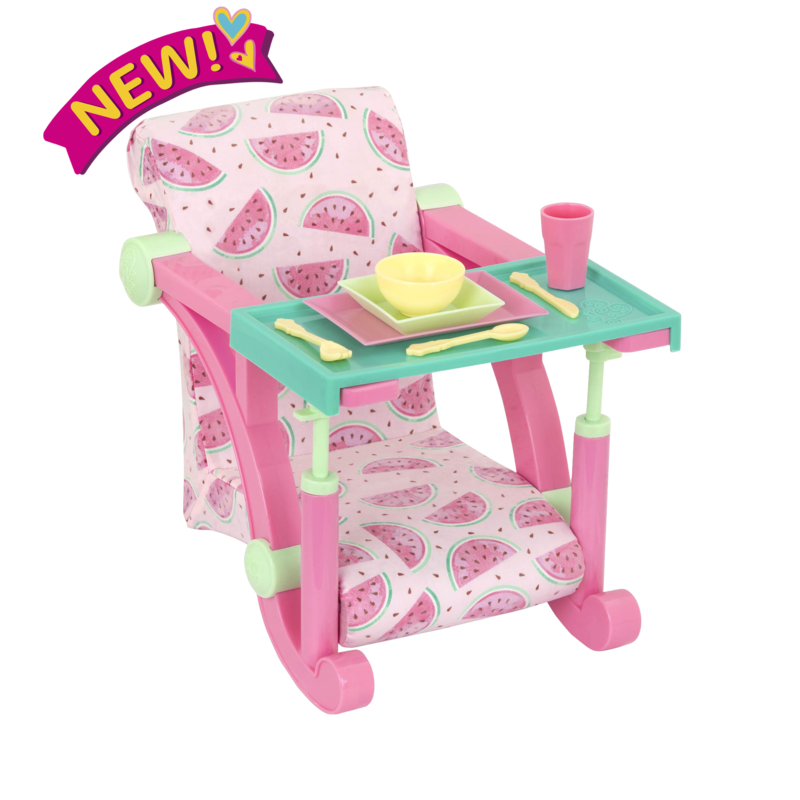 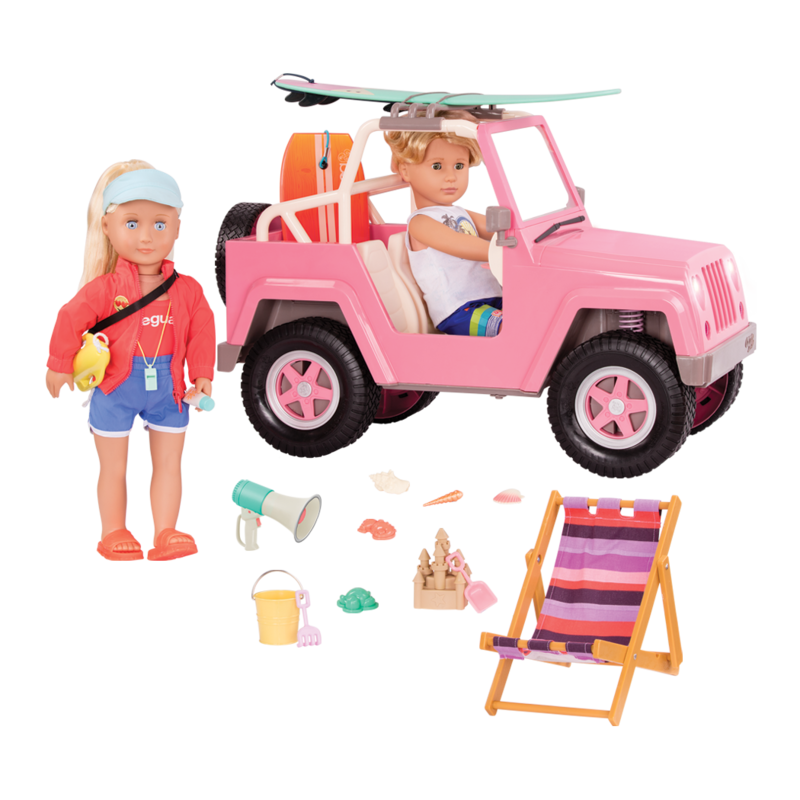 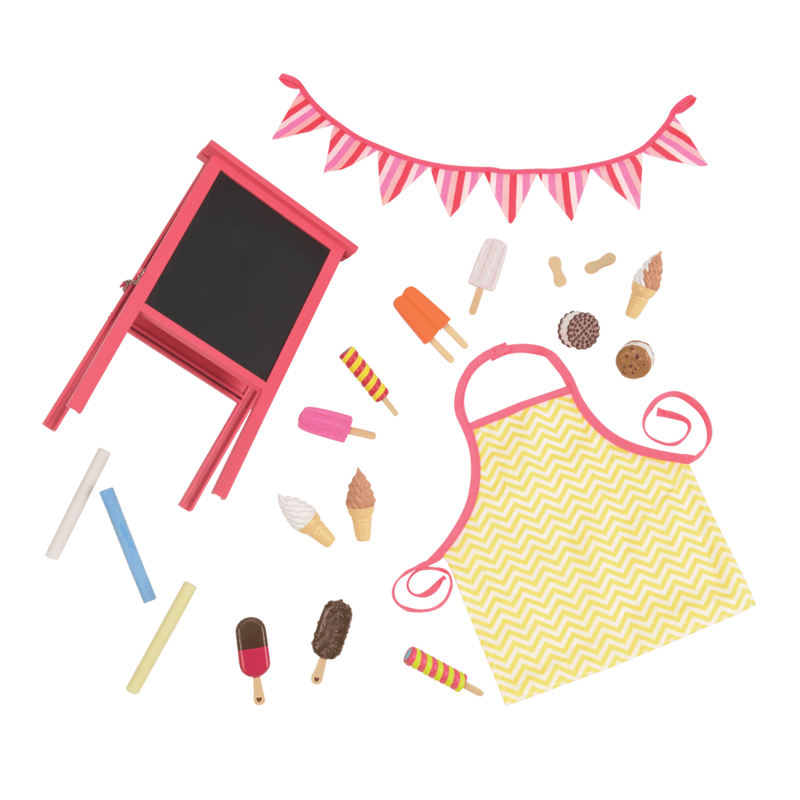 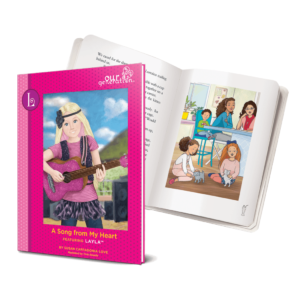 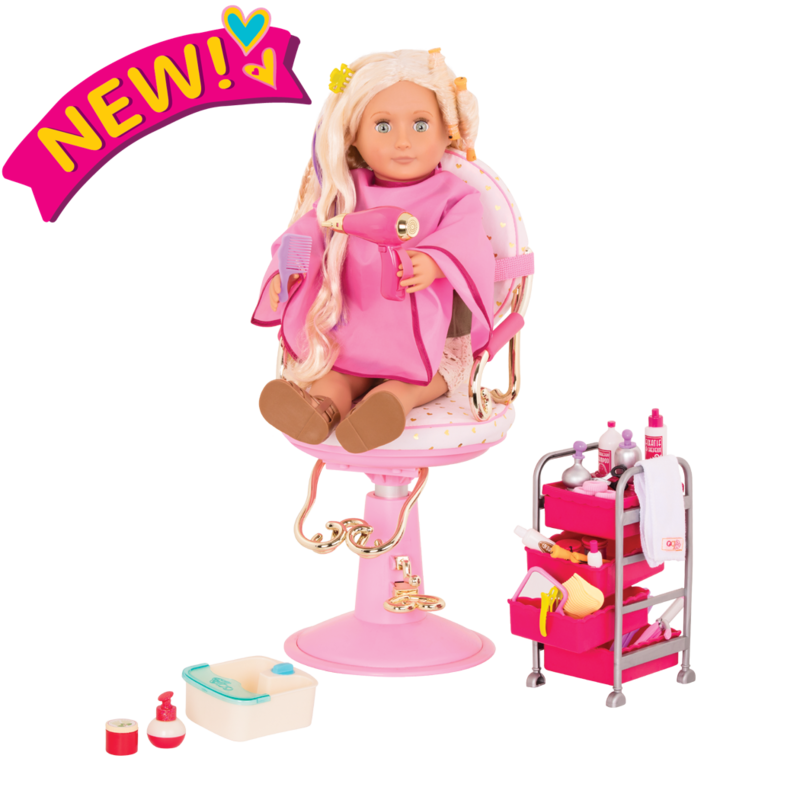 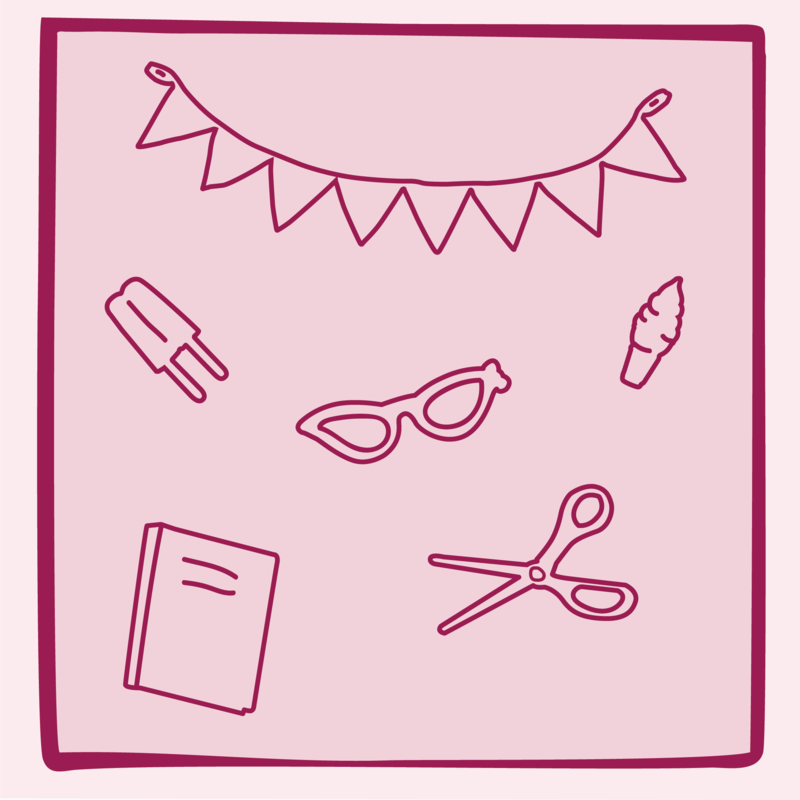 Includes Hair Play doll, Salon Chair and accessories, spa set, & more!